Thankfully, I came across MBOX viewer software after searching and using many tools for an apt solution, I found MBOX viewer to view and open MBOX files without Thunderbird installation. Thanks a ton, MBOX viewer team for designing such an intelligent and smart application that instantly and easily works to open MBOX files without any email client. Highly recommended!!! The software is intelligently designed to work with MBOX files that are obtained from versatile MBOX-based email applications, such as Evolution, SeaMonkey, Sylpheed, AppleMail, Entourage, Eudora, Postbox, Opera, & PowerMail. 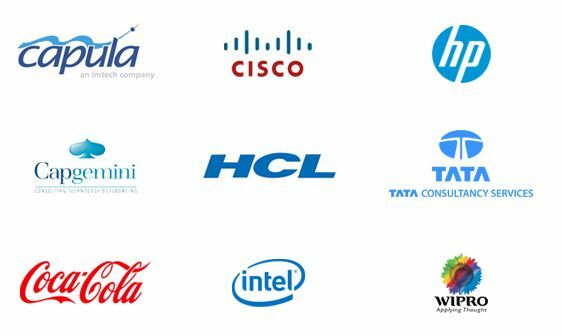 Moreover, the software's GUI integrates all the names of popular MBOX email-clients in a single window, which enhances the usability of software. The software is integrated with dynamic email filter options, which helps in segregating the retrieved emails by selected criteria's like To, From, Subject, Date/Time, and Folder. One can access these filter options from the preview windows itself, which is visible on the top of the email list panel as the magnifying glass logo. The tool provides user to upload single as well as multiple MBOX files with the help of Add Files & Add Folder options. 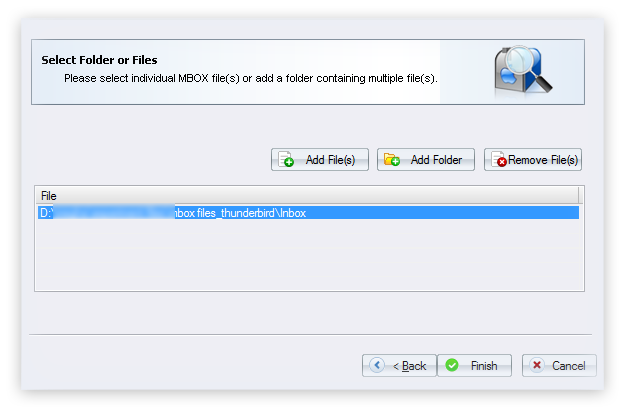 If you have the complete MBOX folders then select "Add Folder option" for adding multiple MBOX email items. Kernel MBOX Viewer software possesses the facility to save email list information in the HTML file format, which can be accessed with most popular Web browsers like Internet Explorer, Google Chrome, Firefox, etc. The product offers hassle-free viewing experience of entire MBOX email items at free of cost. 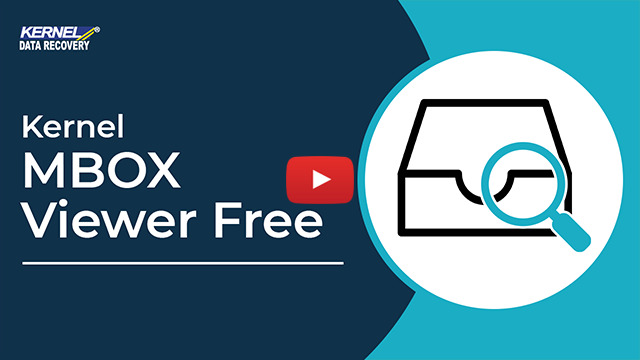 One can easily add single or multiple MBOX files, get the required results in the form of hierarchical structure, and have the unrestricted preview of all MBOX email items. The Kernel MBOX Viewer software is enhanced with advanced compatible functionalities and supports Windows 10, 8.1, 8, 7, Vista, XP, 2000, 98, NT, 95 Operating Systems. You can also run this tool on various Windows Server editions like Windows Server 2016, 2012, 2008 R2, 2008, 2003 R2, & 2003. As it is an open source format, many email clients (mostly open source email clients) use this format for storing emails. The default location of the MBOX can vary from email client to email client. Mail is an Apple email client for Mac OS X, iOS, and watchOS. It supports IMAP, POP, and Exchange account configurations. To learn how to set up Apple Mail with your email accounts, click here. Entourage was developed by Microsoft for Mac operating system, But it was discontinued. The last version of Entourage was Entourage 2008, and later it was replaced by Outlook for Mac. However, if you’re still using Entourage, then learn more about Entourage. Eudora email client operates on classic Mac OS, Mac OS X, and Windows operating systems. But later it was discontinued by Qualcomm and was taken over by the Computer History Museum. Postbox is a powerful email client for both Mac (Mac OS X 10.10 Mavericks or later version) and MS Windows (7,8, and 10) operating systems. It is still active. This email and news client had great features for dealing with spam emails. AOL purchased it and then handed over to Mozilla Thunderbird for regeneration. However, it was discontinued later. This email client was specially developed for the Windows operating system to provide spam protection. The last version, i.e., PocoMail 4.8 was released in 2009. But now, this email client is no more available. So, if you want to convert your MBOX files, then use MBOX to PST Converter. 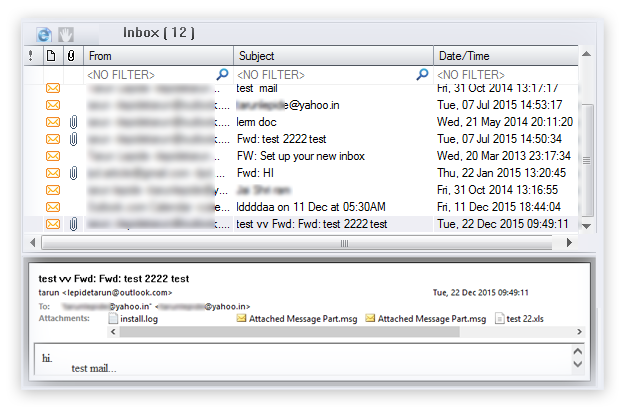 It is an open source, cross-platform and freeware email client. It was developed by the Mozilla Foundation to ease the email services. Mozilla Foundation is still providing support for Thunderbird. Users can easily download it and set up email accounts. Spicebird was a free and open source software based on Mozilla Thunderbird’s code. Spicebird was used to manage personal information, but it couldn’t connect with the latest protocols and servers. So, it was discontinued, and users were invited to migrate to Outlook. If you need help to migrate from Spicebird, then click here. Developed by Opera Software, Opera Mail is a widely used email and news client. The first few versions of Opera Mail were a part of the Opera web browser, but with the release of Opera 15, it was separated from Opera software and became a separate product. Users can easily download Opera Mail and access its setup from the official website. Also known as TYPO3, PowerMail is a powerful and user-friendly email client. Its latest version PowerMail 6.1.0 is enhanced with new functions and extensions. It can be downloaded easily from its official website. 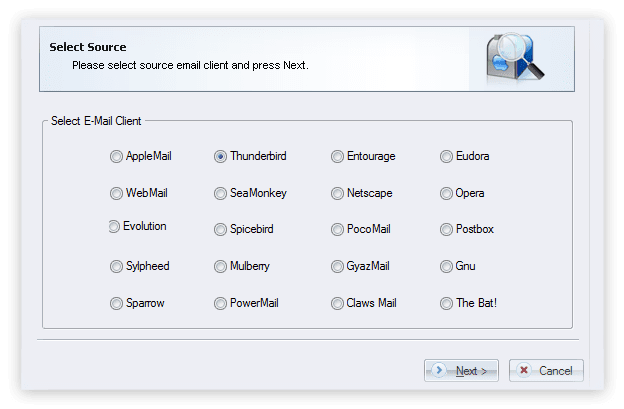 Claws Mail is an open source and freeware email client that is easy to configure and use. In the beginning, it was a part of Sylpheed and was known as Sylpheed-Claws. But, in 2005, it completely separated itself from Sylpheed and became an independent email client. The latest version of Claws Mail can be download from its official website. Evolution is a personal information management application that was specially designed for GNOME and is part of many Linux distributions. It can easily be connected to Exchange Server. Users can learn more about Evolution mail from its website. SeaMonkey is an open source and freeware internet suite. It consists of a web browser, an email, and a news client program. It has features like support for multiple accounts, junk mail detection, HTML message support, and message filters. Also, it shares the same source code as Mozilla Thunderbird. The latest version of SeaMonkey, i.e., 2.49.3 was released in May 2018. It can be downloaded from its official website. It is a lightweight and easy-to-use email client that has an intuitive user interface. It runs on many operating systems, such as Windows, Linux, BSD, Mac OS X, and other Unix-like systems. It comes as the default mail client in Lubuntu, Damn Small Linux, and Puppy Linux. You can download the latest version of Sylpheed from its official website. Mulberry is an open-source email client which was initially developed for Apple Macintosh. But it works for Windows and Linux platforms as well with the help of the X window system. The latest version of Mulberry was released in 2007 and is available as an open source product under the terms of the Apache License. GyazMail is an email client that can be operated on Mac OS X. It supports various protocols, such as POP3, IMAP, and SMTP. The latest version of GyazMail is 1.5.19 which can be downloaded from its official website. GNU is an open-source and a cross-platform email client. The latest version of GNU Mail (version 2.2) was released in 2010. It can be downloaded easily from the official website. Sparrow was an email client for OS X and iOS. Though Google acquired it, the development of Sparrow Mail was discontinued by it later. Developed by Ritlabs, The Bat! is a shareware desktop email client. It can be operated on Windows operating system only. You can download the latest version of The Bat! (v8.5.6) from the official website. Google lets you backup your Gmail data in MBOX files. After backup, you will get the data by email so that you can download it. And, you can convert this MBOX file to a PST file with the help of Kernel MBOX to PST Converter. Kernel for MBOX Viewer is a powerful tool to open and read MBOX files in Windows environment without MBOX to PST conversion. How to use Kernel MBOX Viewer? Great team work and support service. My experience with the software is quite smooth and satisfactory. "I am happy with the performance of the software I recently installed it worked exactly as expected."